Sinai Georgian MS 16 - Image 277. The Georgian version of the New Testament is one of the least-researched areas in New Testament textual criticism. The Library of Congress recently released page-images of some important Georgian manuscripts that are housed at Saint Catherine’s Monastery; a list of some of them is included at the end of this post. What do we know about the Georgian version of the New Testament? A few brief points should be enough to convey the basics about what we know, and what we would like to know, about the Georgian version of the New Testament. If you would like more details, see Jeff Childers’ chapter on the Georgian version in The Text of the New Testament in Contemporary Research (1995). ● Like Greek, the Georgian language is written in different scripts. The script called asomt‘avruli is analogous to Greek uncials. The kut‘xovani (“angled”) script is analogous to Greek minuscule lettering. It is also called nuskhuri. In the Middle Ages, both of these scripts became antique as the military script, mxedruli, began to dominate, and it is still essentially the Georgian script in use today. Also, though not particularly significant for New Testament research, there is another way to classify Georgian scripts: the Georgian letter xani was used as a prefix in the 300’s-600’s. This prefix was then replaced by the letter hae, h, until the 800’s, at which point it also fell into disuse. Georgian script that uses the xan-prefix is called xanmeti; script that uses the hae-prefix is called haemeti. ● Georgian New Testament manuscripts tend to be either manuscripts of the four Gospels or of Acts and the Epistles, and one should not assume that the different parts share the same text-type. Although it is generally agreed that the Georgian version was made sometime in the 400’s, we do not have very many substantial early Georgian manuscripts, so it is not easy to discern what kind of readings the earliest Georgian text contained. Only faint hints can be gained by consulting quotations that appear in Georgian literature, such as The Martyrdom of Saint Shushanik, a composition from the 400’s, probably. 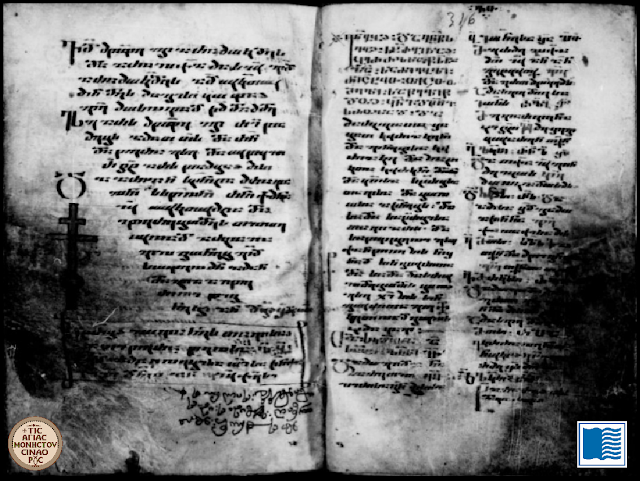 The best impression that the presently available evidence gives is that the Georgian version of the Gospels – like the Armenian version, in some respects – circulated in two forms not long after it was first created. Sinai Georgian MS 16 - Image 322. ● An assortment of linguistic clues (such as unusual renderings in Georgian that are explained as mistranslations of Armenian terms) has contributed to a consensus that the Georgian version of the Gospels was initially translated from Armenian, and that the Georgian text was then revised, reflecting the revision of the Armenian text. Between the representatives of the first form of the Armenian Gospels-text, and representatives of the first form of the Georgian Gospels-text, the Georgian remains are more substantial, and so, despite being a translation of a translation, the Georgian Gospels-text has something to offer that is text-critically interesting: echoes of whatever text (probably something in Syriac) was used in the early 400’s as the initial basis for the Armenian Gospels. The early Georgian version is also a major witness, albeit indirect, to the Greek Caesarean Gospels-text that was used after 430 to revise the Armenian text. ● It was once assumed that the Georgian text of the Epistles shared the same general pattern of Armenian-based development and revision, but that is probably not the case. Georgian monks came into contact with monasteries outside the borders of Georgia almost as soon as the Gospels were translated, if not sooner – and the Greek manuscripts at those monasteries were not ignored by the Georgians. Access to those texts apparently caused the early Georgian translators to adopt a distinctly different base-text for the Epistle (and probably also for Acts). 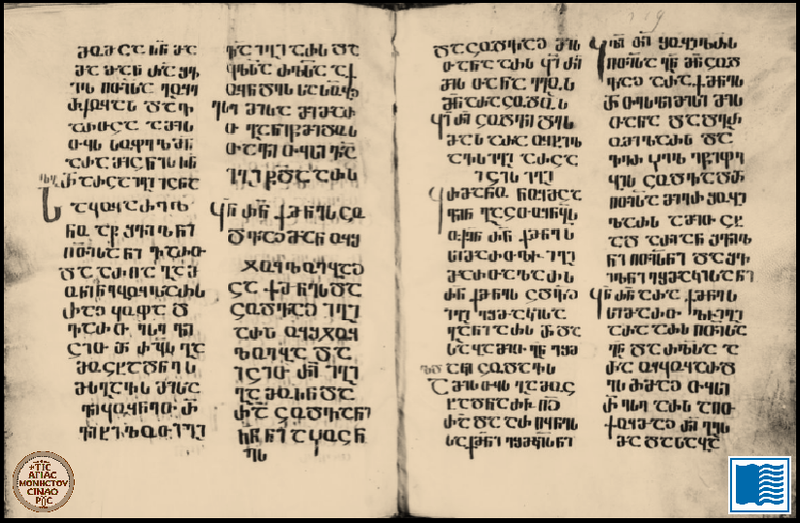 Textually, the early Georgian version of the Epistles is related to the Greek text of Codex Coislinianus (H, 015). ● The Georgian text of the Gospels was repeatedly revised (sometimes, apparently, as little more than some monks’ isolated project) until the revisions that were undertaken in 1000’s. At that time, Euthymius the Athonite (so-named because he resided at Mount Athos, in northeastern Greece) attempted to systematically correct the text of the Gospels to Greek exemplars there. In addition, he translated the book of Revelation into Georgian, from a Greek base-text resembling what was circulated alongside the commentary of Andreas. After Euthymius, George (or Giorgi) the Athonite tidied up Euthymius’ work, favoring a Byzantine standard. 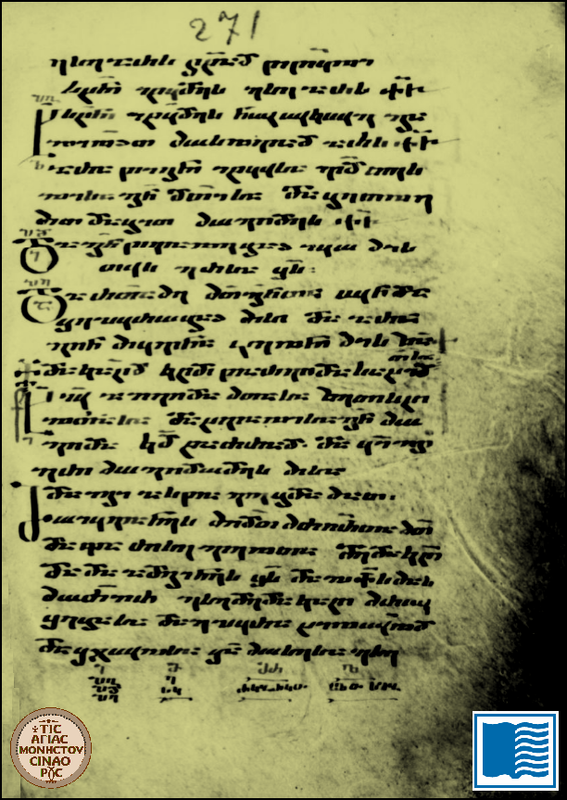 Yet Giorgi’s revision-work was not quite definitive (although it eventually dominated all other revisions); another monk named Ephrem the Small brought the Georgian text even closer to a Byzantine standard in the late 1000’s. Thus, the Georgian text of the Gospels should be considered stratified: in the 1000’s a Byzantine layer intruded upon and overwhelmed (mostly) the earlier levels, the better-represented of which is a strong Caesarean witness. 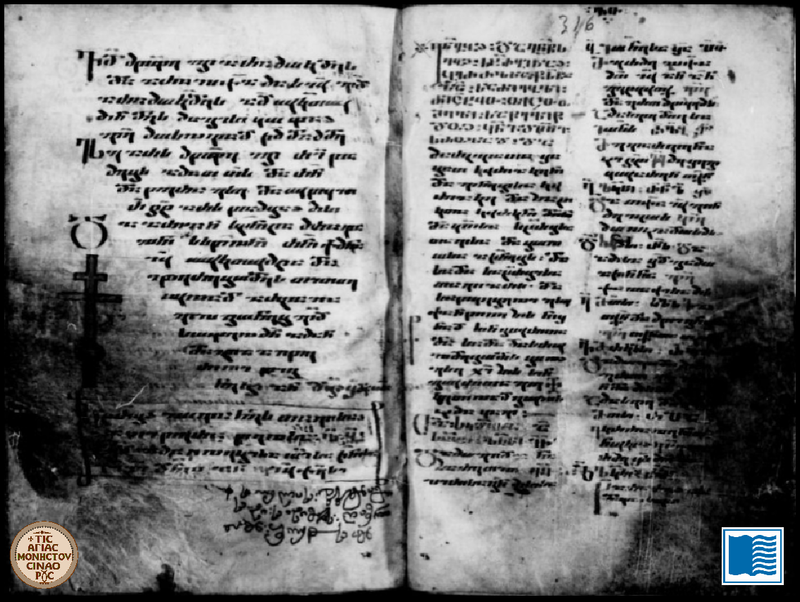 The affinities of the less-attested early form are not altogether clear, but continued study of Old Georgian witnesses such as the Khanmeti Gospels Lectionary from the 700’s, as well as some palimpsests, may provide some more information about that. Here are links to the collections of page-views of some of the microfilm images, from the Library of Congress, of Georgian manuscripts housed at Saint Catherine’s Monastery on Mount Sinai. Sinai Georgian MS 39 - Image 122. That early Georgian script looks a lot more like Armenian than it does modern Georgian. So if they were translated from Aramaic to Georgian would that not make them more originally correct as Aramaic is an older language.